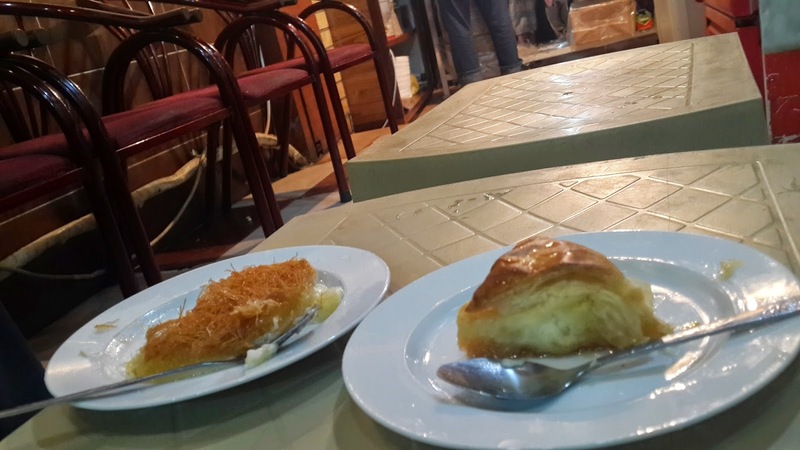 Anyhow, I am probably not the biggest Baklawa fan, but there is always a soft side for my sweets. 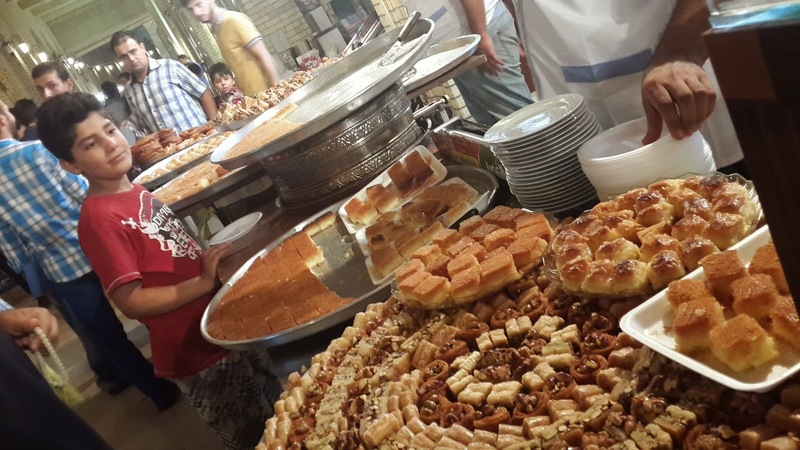 The other day we were walking through the bazaar in Hawler (Erbil) and came across a little shop with a massive crowd. Yup! That’s when Saza gets super curious. “Kaka yak kilo, kaka doo kilo lama… kaka niw kilo la wa” was all I could hear. The fuss was all about sweeeeets!! 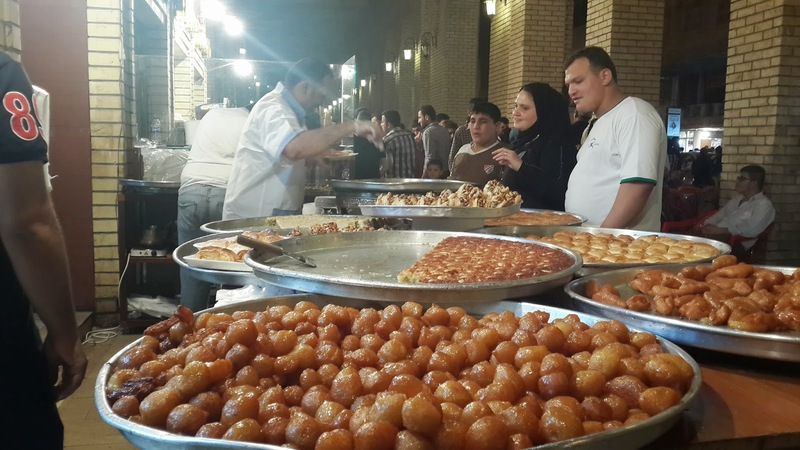 There is a good three sweet shops in Erbil that rank high when it comes to service, hygiene and taste (note to self: add to list of must blog about) but then again there is nothing like proper street food! The people who work here, if I am not mistaken are Kurds from Syria. 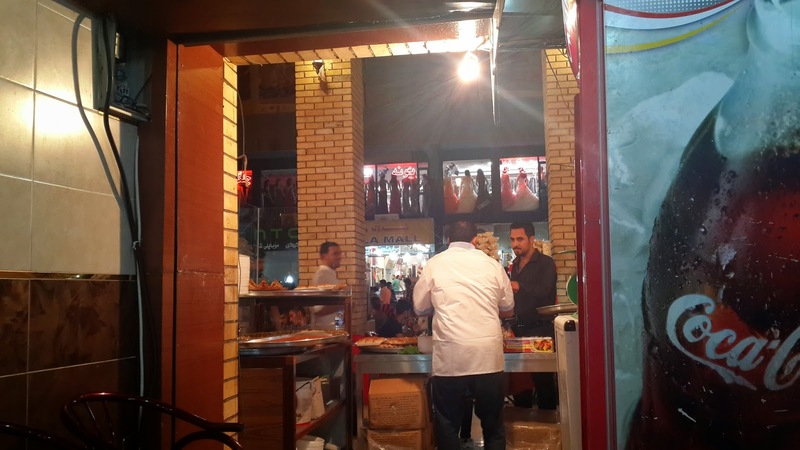 The little shop is located on the outside of the Qaysari bazaar in front of Aswaq Sirwan near the Nishtiman Mall (well, kind of near it). The serve the sweets outside and most people by kilograms of it to take home, although if we want to sit and enjoy a little something inside you also can. At the back there are a few chairs and the staff are lovely. Don’t expect 5 star service, but it’s one of those experiences where you feel you are living in a normal world where things aren’t perfect but you can enjoy every second of the experience. Outside they serve a good five/ six different sweets that they specialize in. 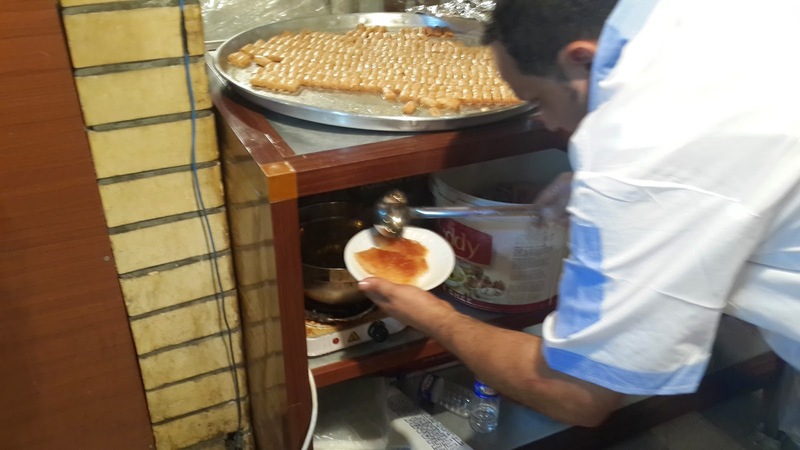 We always go for the kunafa. I must say it tastes very fresh, I believe they don’t have left overs from the night before (unlike some other places! ehm ehm). SAZAN all the way in Australia can you please tell me where to get this now? How can I go down and walk in the qaysari? 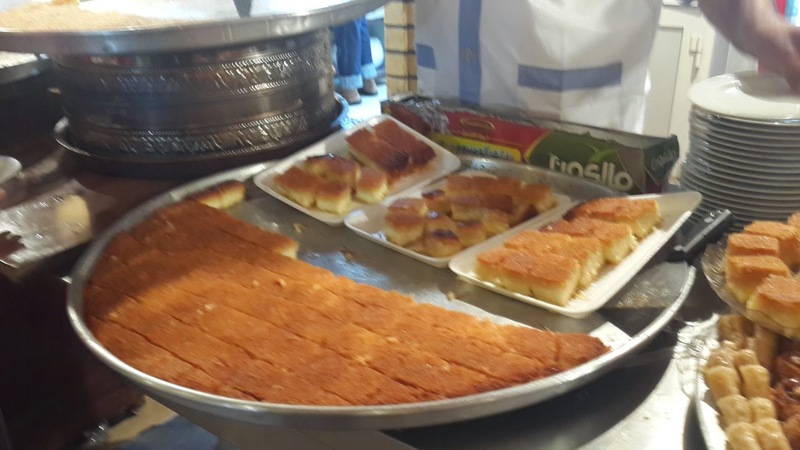 How can I go sit down and order kunafa while hearing Kurds say Kaka Kaka Kaka. I am home sick and you just made it so much worse! Love the way of expressing the place and the sweets. Dest xush sazy.